These Beef and Spinach Stuffed Peppers are a great healthy dinner idea to add to your weekly rotation. 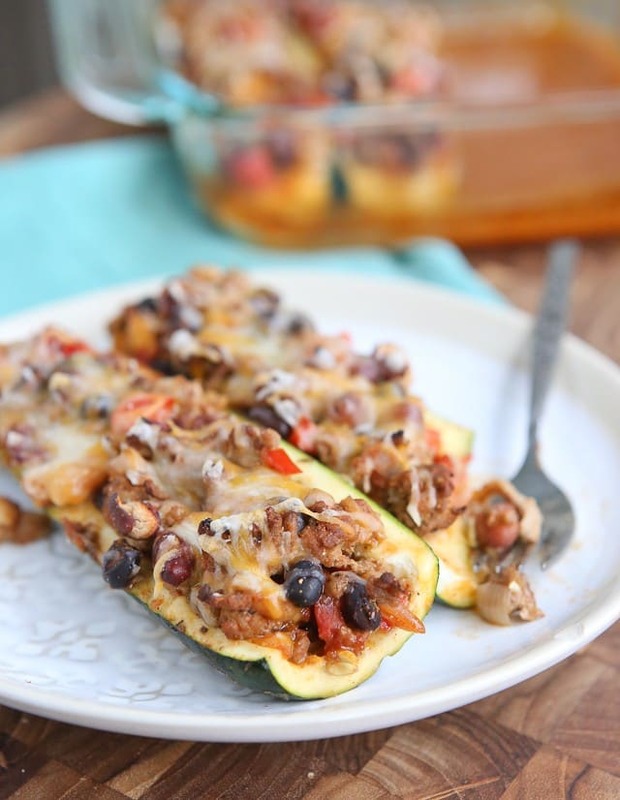 Low carb and full of flavor, they are great for meal prep too! Click here to pin this Beef and Spinach Stuffed Peppers recipe! I grew up eating Italian style stuffed peppers like these I posted waaaaay back in 2008. That is my standard family recipe that my grandfather always made and still makes to this day (well, my version at least). Those do take a little more time to cook since I typically stuff the whole pepper, time that I haven’t wanted to invest in cooking a meal lately. The last year or so I finally caught on and started making stuffed pepper “halves” and hello, they cook up so much faster! 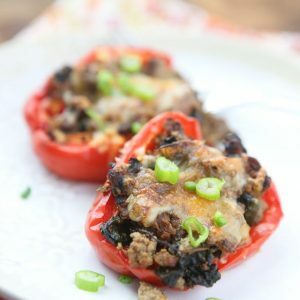 I have made these simple Beef and Spinach Stuffed Peppers a few times now and I love how quickly they come together, making them a weekly meal plan regular. This recipe for Beef and Spinach Stuffed Peppers is pretty straight forward. Only 6 ingredients! I love adding spinach and baby kale (I pick up a bag of this every week) to any ground meat mixture when making tostadas or meat sauces. My family never questions it and it’s something they are used to by now so I’m happy to be able to give them the bonus nutrition when I can. 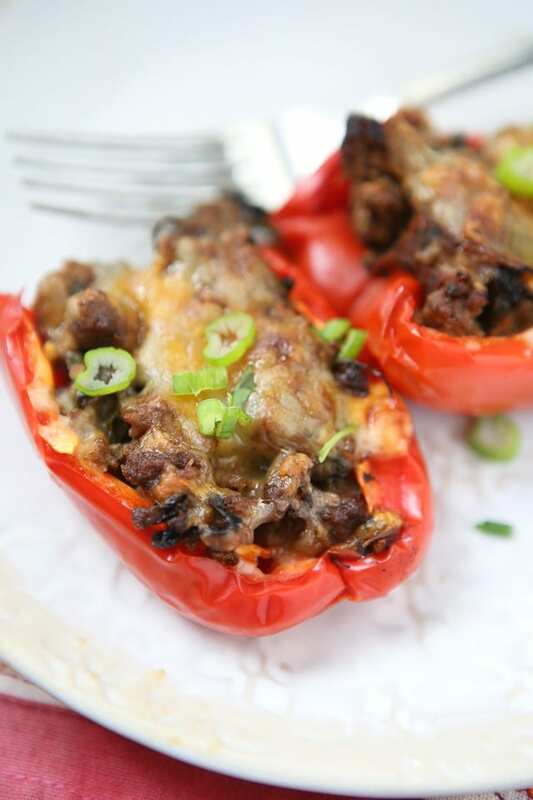 Like these low carb stuffed peppers? Pin it here! These stuffed peppers are GREAT for meal prep. 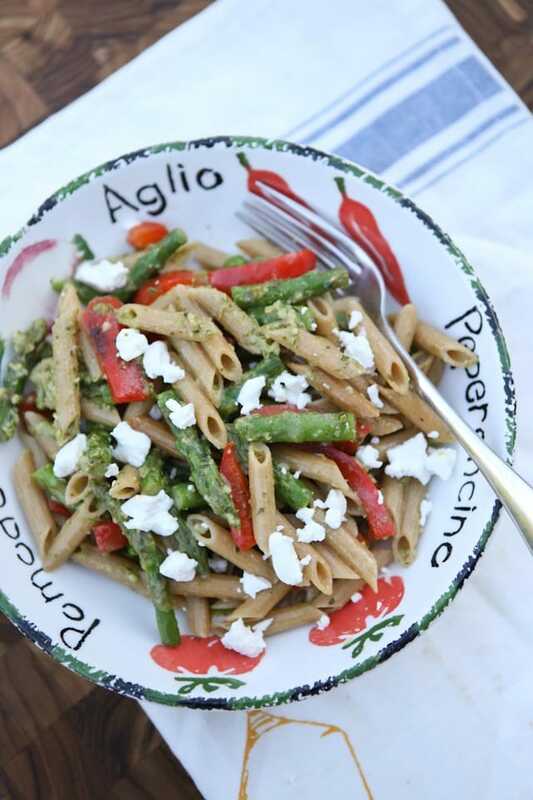 They can be reheated easily for lunch or dinner. In a large nonstick skillet, cook beef. Using a wooden spoon, carefully crumble, season with taco season and continue to cook until browned. Add cut spinach and combine until spinach is completely cooked down, about 4-5 minutes. Season with salt and pepper. Place peppers in a large glass baking dish, sprayed with nonstick spray. Spoon beef and spinach mixture into each pepper half and top with 1 tablespoon salsa. Cook in 400 degree oven for 25 minutes uncovered (check to see if peppers are soft, if they are they are ready to take out. If not add another 5 minutes). 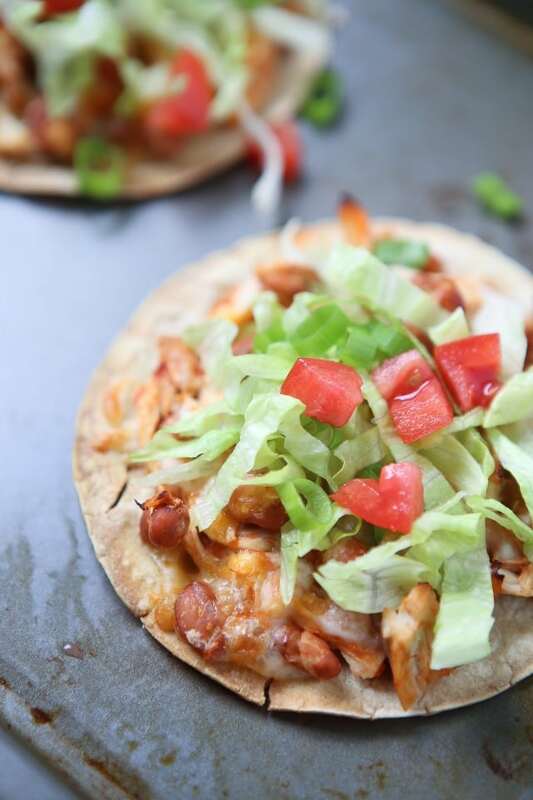 Take out and top with about a tablespoon shredded Mexican blend cheese and bake for another 5 minutes or until cheese is melted. 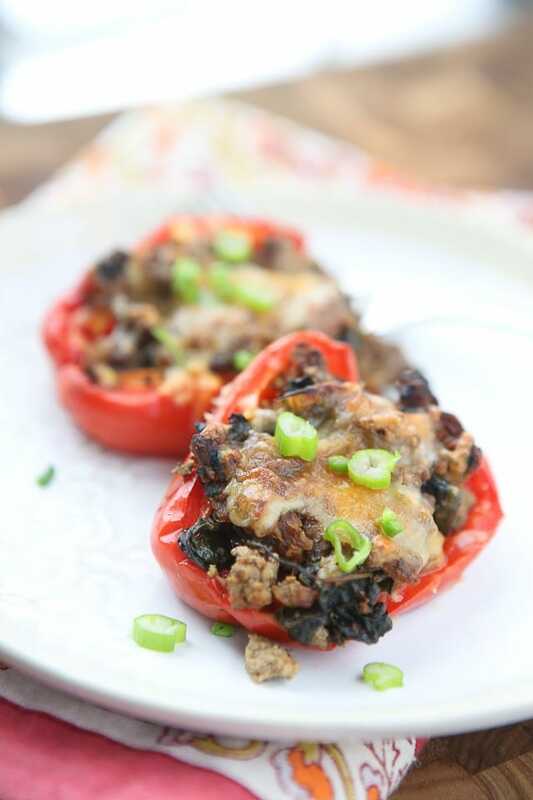 These stuffed peppers were included in Kalyn’s Kitchen Ten Low Carb Stuffed Peppers recipes. Aggie, these looks so good. I WANT for dinner tonight! I love the variety of peppers that you can make! Ohhhh there is never day that stuffed peppers don’t look good!! Mercy, me!! thank you so much Kalyn!